Tickets are sold at the station located at Praia Vermelha (Red Beach). The cable car service runs between 8 am and 9 pm each 20 minutes of interval! But note that you can buy your ticket only till 7.50 pm! At this base-station you will can find few souvenirs stores and you also can buy them at the Urca Mountain (there is a big Havaianas’store, Bars where you can take a Caipirinha) and the same at Sugar Loaf!Remember that the best time to visit the Sugar Loaf, is the time of Sunset...It is a incredible picture!! 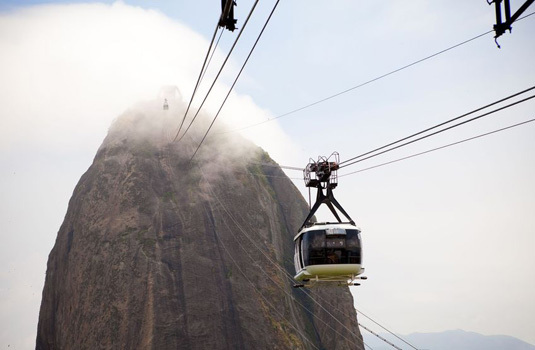 The second cable car takes you from Urca to the top of Sugarloaf with an amazing 360-degree view of the region. You can sit down and enjoy the view from one of the fast-food shops around the area. Alternatively, you can follow a trail around the top of the hill. Be there at sunset and you will be treated to the most spectacular scenery on the planet. 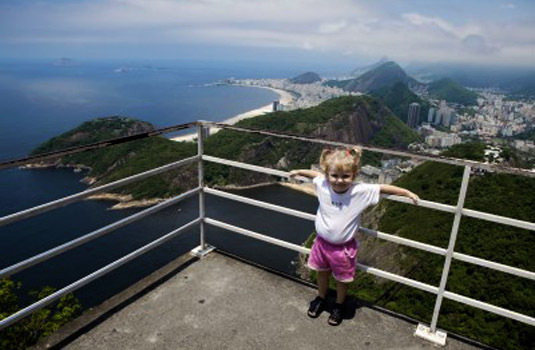 Undoubtedly, the overlooks on Sugarloaf provide some jaw-dropping views of the ocean and the city as well. Those sensitive to heights better beware.Once you are back on solid ground at the bottom, spend time walking around Praia Vermelha beach and the residential area which has an eclectic mix of art-deco and contemporary houses with beautifully landscaped gardens. Aftrerwards why not take a cab towards the Bar Urca, Situated on the shores of Guanabara Bay on one of the most beautiful postcards of the world overlooking the Christ and the entrance to historic São João Fort, a region favored by the tranquility and safety.Or maybe, before the visit a lunch at Porcão Rios, our favourite “churrascaria” situated at Flamengo, Park, overlooking the bay, Niterói and your next stop - Sugar Loaf!